This front disc brake is used on many Hammerhead, Twister Kart, and Trailmaster models. 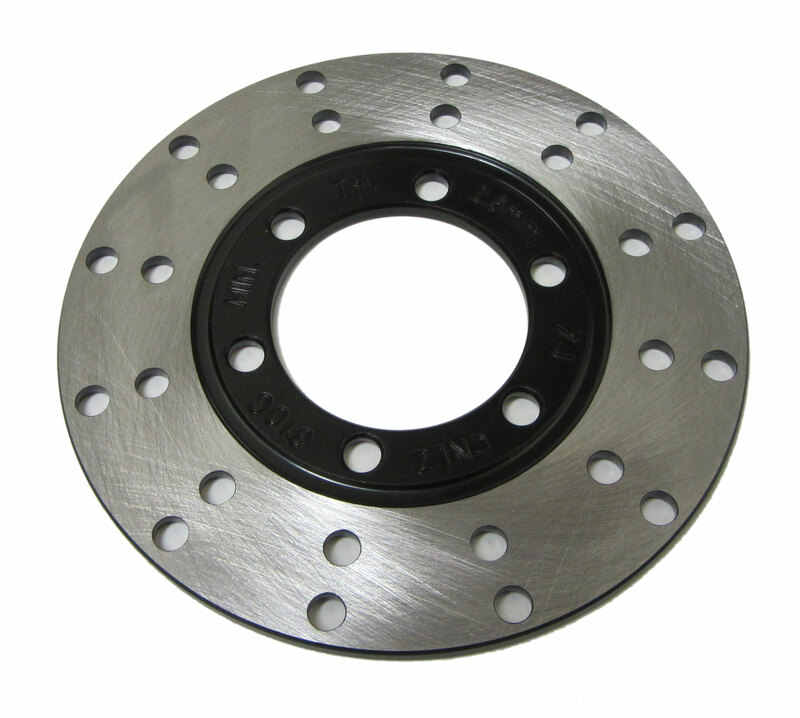 This brake rotor is used on most Chinese manufactured 150/250/300cc go-karts. ~5" (126mm) across and roughly 4mm wide. The center hole diameter is 1-27/32" (47mm). (6) 1/4" bolt holes on a 2-9/32" bolt circle.